Camp Thar Pushkar is organized by a team of young professionals who are adept at manufacturing and erecting quality tents especially for major events like Kumbh Mela, Kalachakra and Pushkar Fair. 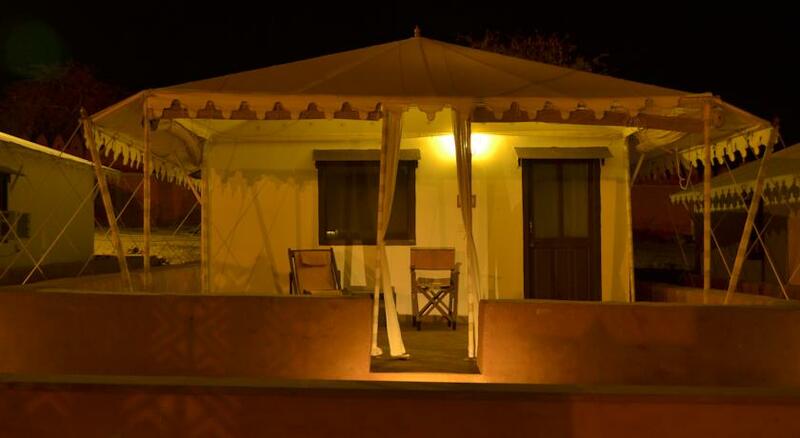 The Camp Thar ensures comfortable and luxurious accommodation amidst the Thar Desert. 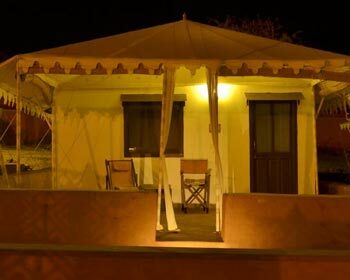 All the tents are designed based on Rajasthani style with wonderful interiors. 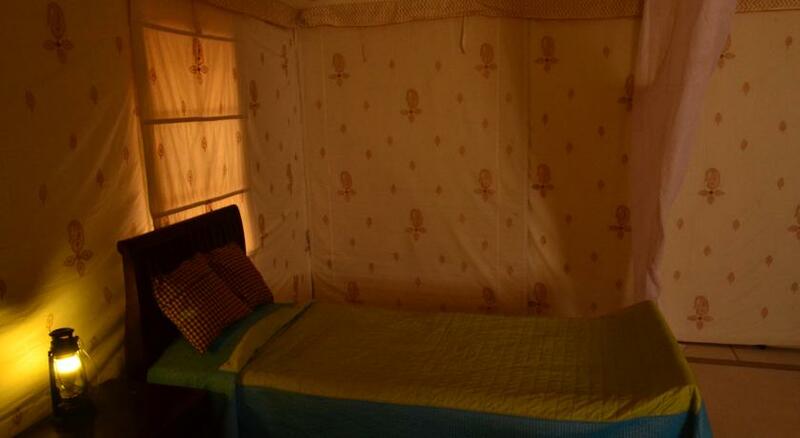 Each tent comes with an attached bathroom with running waters and is also air conditioned. These camps are mainly erected during the Pushkar Fair and Pushkar Camel Fairs to provide accommodation to the public visiting in large. 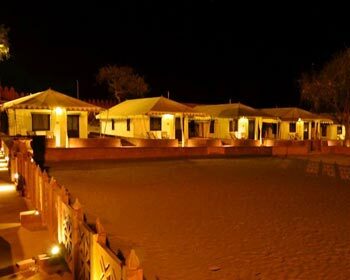 These tents provide facilities that equal five star accommodations but staying in the tents amidst the Thar Desert provides one with a wonderful experience rather than staying in the five star hotels. In the evening, music and dance, camp fires, puppet shows and local folk performer’s program are organized. The guests are also provided with Rajasthani and Indian food. The Camp Thar also organizes camel safaris and hot ballooning. On request, they will also arrange for sightseeing trips. The Camp Thar provides for its guests air-conditioned and deluxe camp tents that are spacious, elegant, luxurious and well furnished. The camp tents come with amenities like attached bathroom with shower cubicle, 24 hrs hot/cold water, 24 hrs room service, housekeeping, laundry/dry cleaning, television with satellite connection, telephone with STD/ISD, doctor on call, parking and many such amenities to make the stay of the guests memorable. 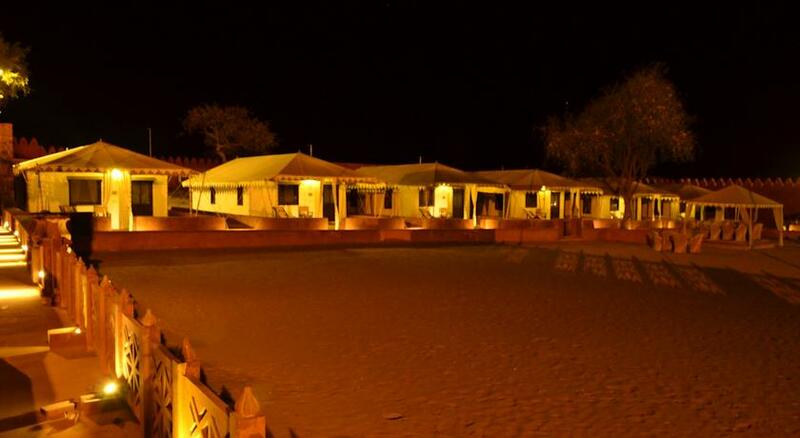 These camp tents are meant for those who are looking for an exotic experience of staying amidst the scorching Thar Desert. These air-conditioned super deluxe tents come with wooden flooring and are well-equipped with all the modern comforts, offering a comfortable stay. 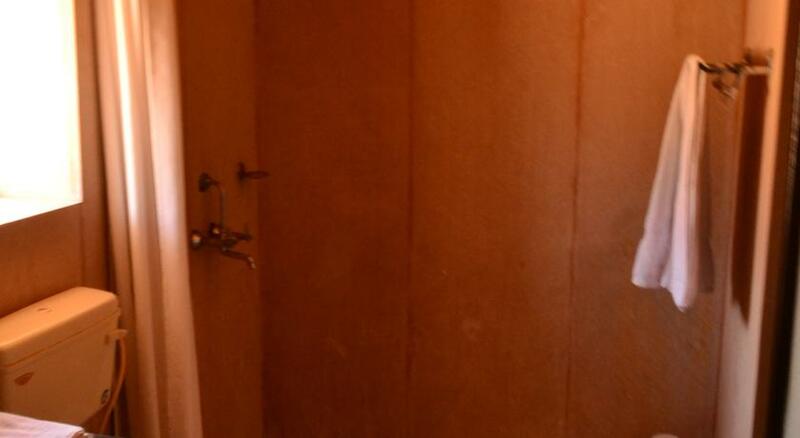 The attached bathroom has a shower cubicle that has round the clock hot and cold water. 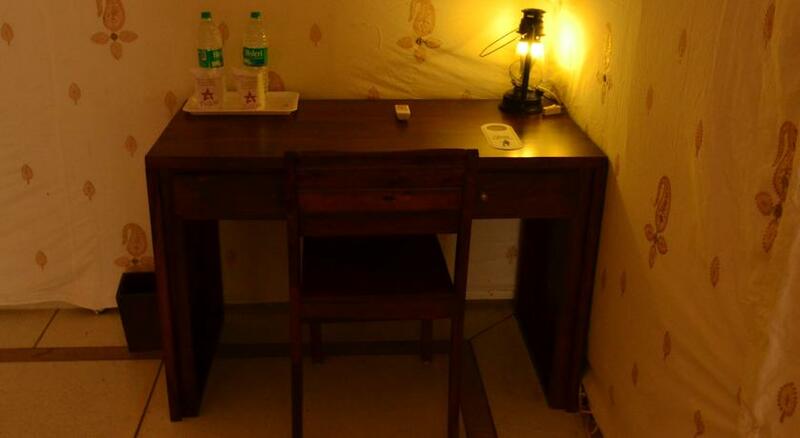 Enjoy all world-class facilities and impeccable services of the staff. The restaurant is also made of camp tents and is well furnished, warm and inviting. The guests are served with delectable Rajasthani and Indian cuisine round the clock. Our Chef also keep experimenting so be prepared to taste some exotic and exquisite delicacies. When you are staying with us, make the most of the culinary delights as it will feast your palate. The guests are also served in their own tent on prior request. The restaurant is opened to outside guests also.